Following the North American confirmation, Nintendo has revealed Australia, New Zealand and Europe will also receive a special hardware bundle to celebrate next month's release of team-based squid shooter, Splatoon, on the Wii U. Launching 30th May in Australia and New Zealand alongside the game's release, the limited supply Wii U Splatoon Premium Pack bundle will include a Wii U Premium console and a copy of Splatoon for SRP AU$359.95. The same hardware bundle will also be released at a later date in Europe on 19th June, with the standalone game launch set for 29th May. In comparison to PAL regions, the North American bundle exclusive to Best Buy includes just a download code of Splatoon but the added bonus of a pre-installed copy of Nintendo Land. If you live in Europe, Australia or New Zealand, let us know in the comments if you're excited about this bundle announcement for PAL regions. I wish Nintendo added Splatoon theme to the Wii U hardware, not just the box. Er... should we be worried about that 19th of June date? If they included a fourth amiibo that could only be gotten in this package, they'd sell like mad. 19th June would actually be a good date for me, since hopefully around that time I'll be almost done with exams. I'd like to know the price, however. 300€ seems excessive, especially seeing the American price. In AUS EB Games WiiUs usually go for $430. I'm surprised the splatoon bundle is only $359. I would buy another WiiU if they released a proper limited edition with some changes to the hardware. Since the hardware is exactly the same, you'd be better off getting a normal Wii U which would cost around £150 (if not on discount, previously discounted to £99) and then the game separately... Even if you get the game bundle with all 3 amiibo, then that would amount to just over £200. If the EU bundle will cost something like £299 then that would not be worth it. @Azooooz dude, totally agree. Like sony do with the ps4. Makes the whole thing more attractive. Even if they just coloured the whole wii u and game pad un splats, making it look like it was shot with one of the guns. June 19 after e3? Then Nintendo better put on a good show then to give more reason to buy the bundle. Regardless of the release date, I have set up a budget of what money to pay in to my PayPal account to cover all of my preorders and I am set to receive all of my orders. I love these Wii U bundle box designs, but it's a shame that the Gamepad and the Wii U itself doesn't have "ink" splashed all over it. 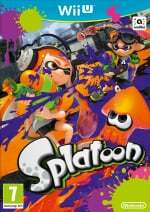 @Peach64 I'm thinking exactly the same, Splatoon delayed to post-E3 would be catastrophic. I think the reason we haven't seen many special edition consoles is probably down to them not making very many in the last 2 years. They planned to ship 9 million consoles by March 2013, and they'd have had to be operating towards that goal. If anyone found out Nintendo knew they'd never hit that target and had lowered production, they could have be done for misleading shareholders. They could still put some decals on but they probably figure they've already burned so much money producing hardware at the higher 2012/2013 costs only to have most of them sit in a rented warehouse for 2 years. That's a pretty good AU price, wouldn't be surprised to see some discounting as well, it could sell quite a few consoles. @Ras If the bundle came with all 3 amiibo Splatoon amiibo it would sell like mad. Seriously, if MP10 was packaged with Gold Mario, it would be a 4 million seller by now easy. That looks cool. They should have included the three Splatoon Amiibo, or at least the Squid one. @Peach64 @Grumblevolcano - The late date works out well for consumers if they lower the Wii U price at E3. I think Nintendo is plannig on pushing this all summer long. They dont really have any choice in the US as we dont get Yoshi in June. The commercial has a kids summer vibe. While I agree this should be ready at launch May 29 it could me marketed towards kids when Yoshi releasrs in the EU late June. But Wii U seriously really needs a price cut. Even just to $269 to get peoples attention and be done with it. Its my firm belief thst there are people who wont buy a console until the 1st price cut. And 2 1/2 years on the market means that group may be growing for Wii U. Nobody is waiting for a $30 price cut, but people will see it ss THE price cut and buy it snyway, knowing $199 is far away. They could then still do $249 or $229 in Nov. Finally Australia gets a price cut on the Wii U! It's been $430 since launch. Including the 3 pack of Splatoon amiibos would have made this more enticing. Still a good way to get new gamers! !